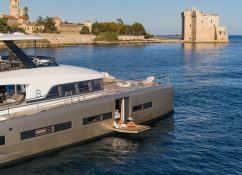 Double Down is a superb Lagoon 78 Power Catamaran available for charter that can accommodate up to 8 people in 4 double cabins with private en-suite bathrooms. 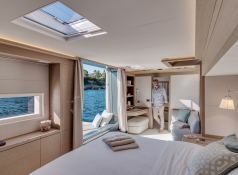 A Cruise on such a catamaran offers optimal stability and comfort while sailing on the Adriatic Sea to discover Croatia from Split, Dubrovnik and Montenegro. 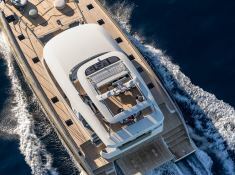 Or even on the Tyrrhenian Sea to sail along the coast of Italy, including Sardinia and Corsica. 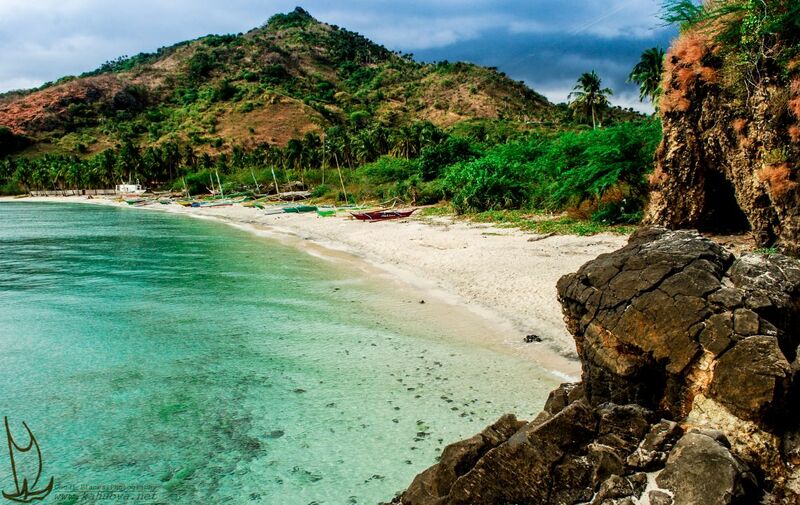 During the winter she will allow you to sail in the Caribbean from the Virgin Islands to St. Martin through St. Lucia and the Grenadines and its white sandy beaches. 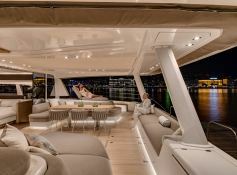 This luxury motor catamaran Lagoon Seventy 8, has a huge space that will give you the feeling of being on a motor yacht of 30 meters. 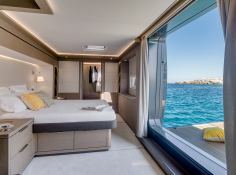 With vast relaxation areas inside and outside the yacht, Double Down will give you plenty of room for lazing around. The interior of Double Down is modern and minimalist, with a clean chic design and neutral tones filling the space. With TV, internet and music systems on board, all passengers will have entertainment throughout the trip. 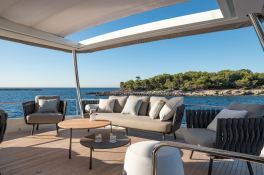 Chartering a boat in Croatia, Italy or the Caribbean such in this catamaran is the guarantee to live unforgettable moments aboard an exceptional yacht. 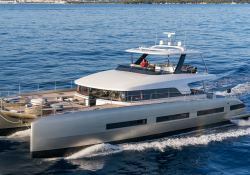 This DOUBLE DOWN is available for yacht charter with a base price of 45 000 € (approximatly 50 749 $).